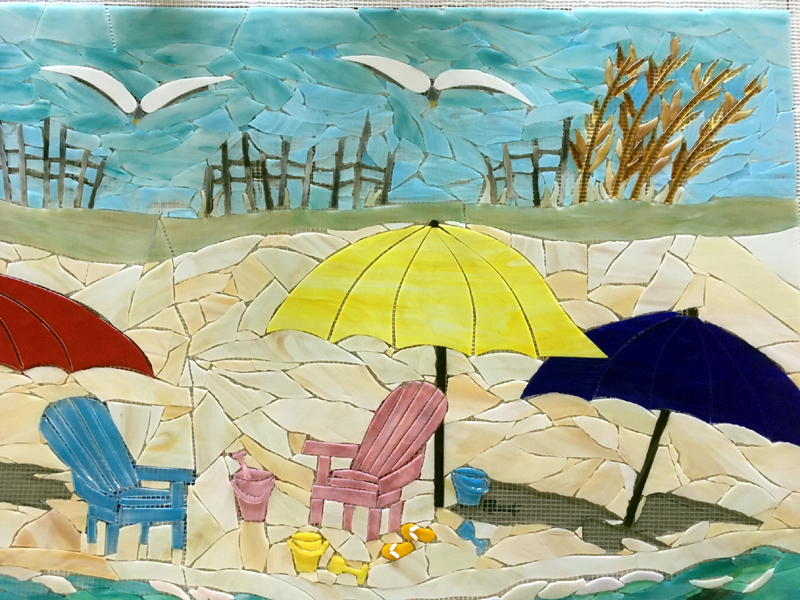 Beach motif mosaic mural created for our client in Belle Harbor, NY. 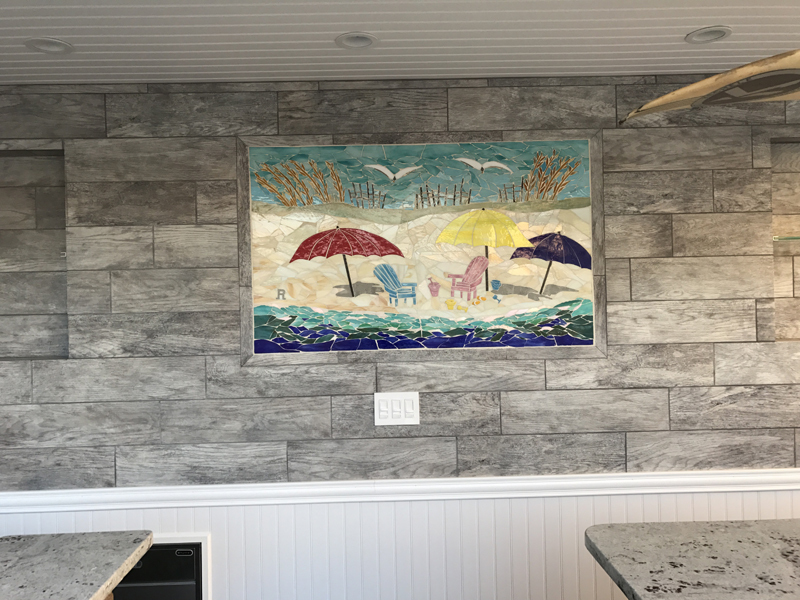 The mural is installed outdoors. 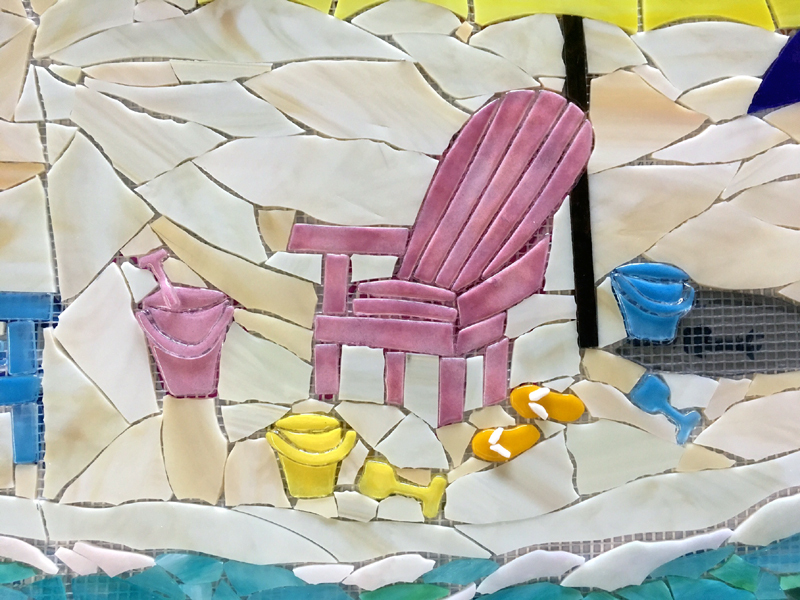 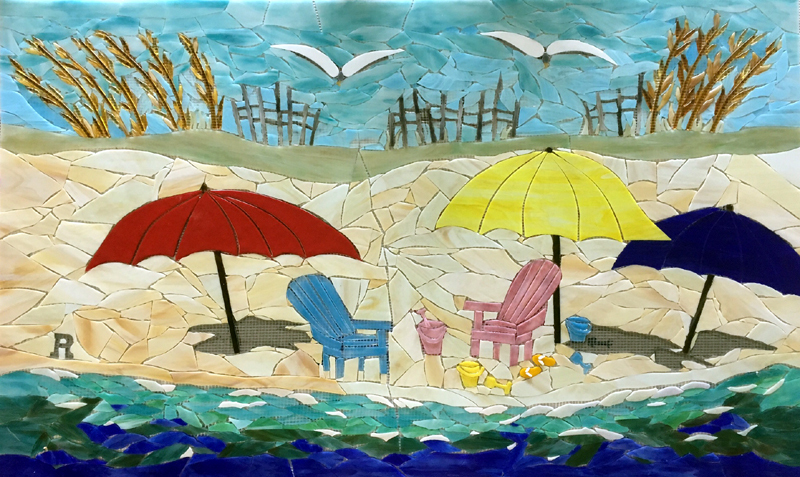 The beach umbrellas, adirondack chairs, pails and shovels, sea oats, fencing are created in fused glass. 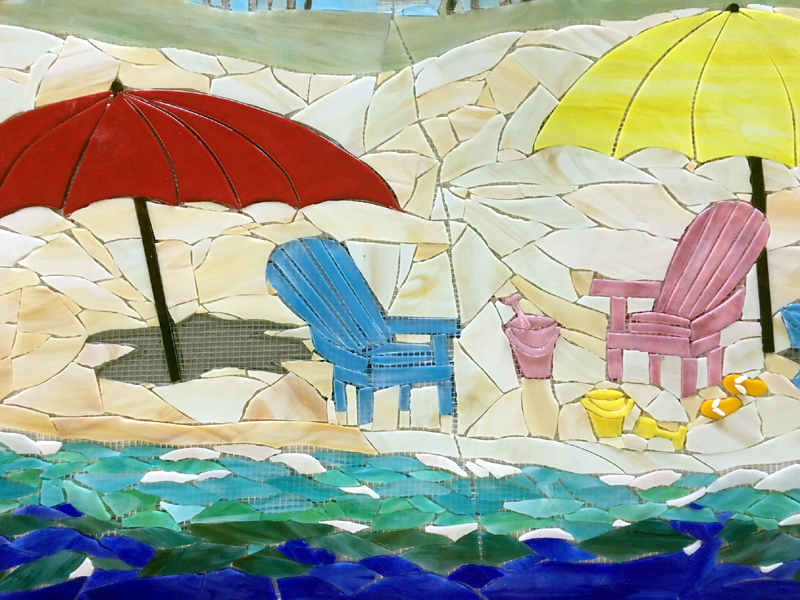 The sky sand and water are hand cut from sheets of stained glass.